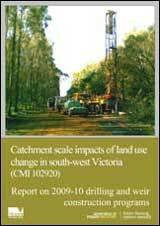 Recent years have seen substantial landscape and climate change in south-western Victoria. 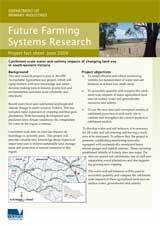 This has included rapid expansion of cropping and blue gum plantations. 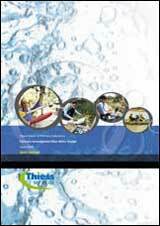 With increasing development and predicted drier climate conditions, the competition for water in the region is intense. 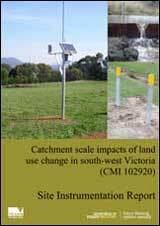 Catchment scale data on land use impacts on hydrology is currently poor. This project will provide valuable new knowledge about impacts of major land uses to inform sustainable land management and protection of natural resources in this region.